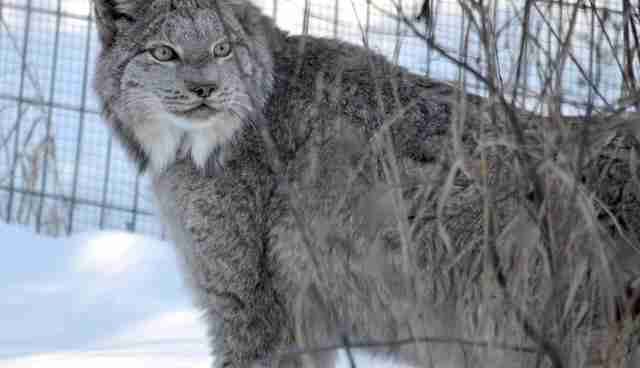 Before arriving at Minnesota's Wildcat Sanctuary, Cleo, a Canada lynx, had never been outside. For 13 years, she was kept as an indoor pet, so she had no idea what it was like to walk in grass or feel snow against her fur. 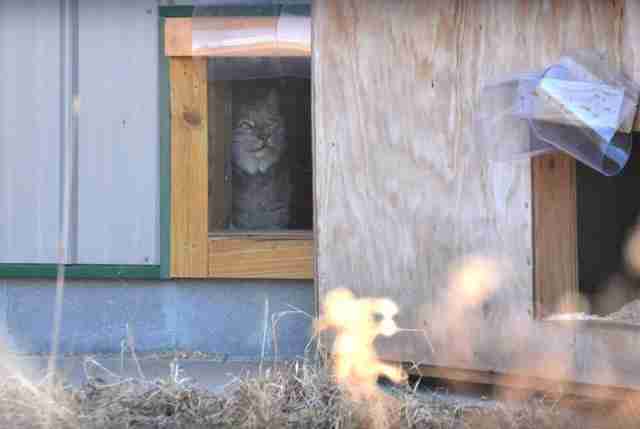 Cleo's return to a more natural way of living began last March. Sanctuary staff got a familiar phone call: An owner with an exotic pet could no longer care for her and had to find her a new home. 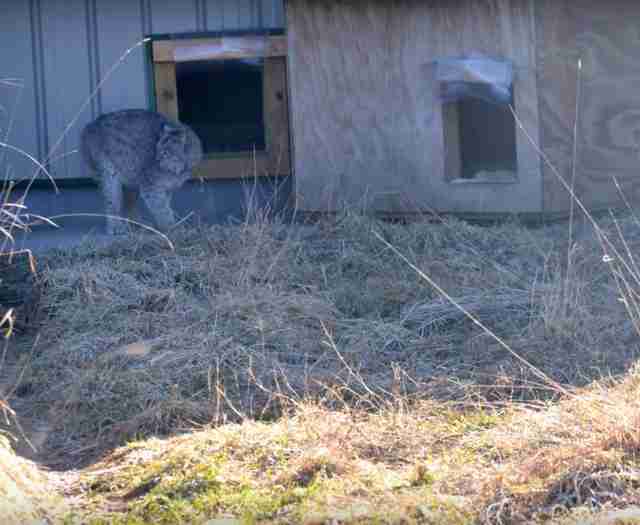 "The owner told us he had two lynxes, a male and female," Tammy Thies, executive director of the sanctuary, told The Dodo. 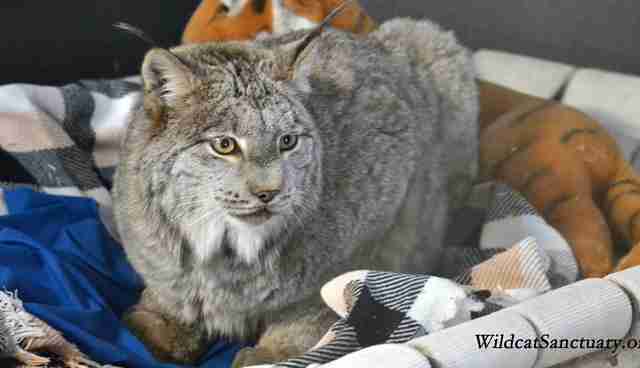 "The other lynx had passed away from a health issue a couple years prior. He bought them from a game farm to keep them as pets." 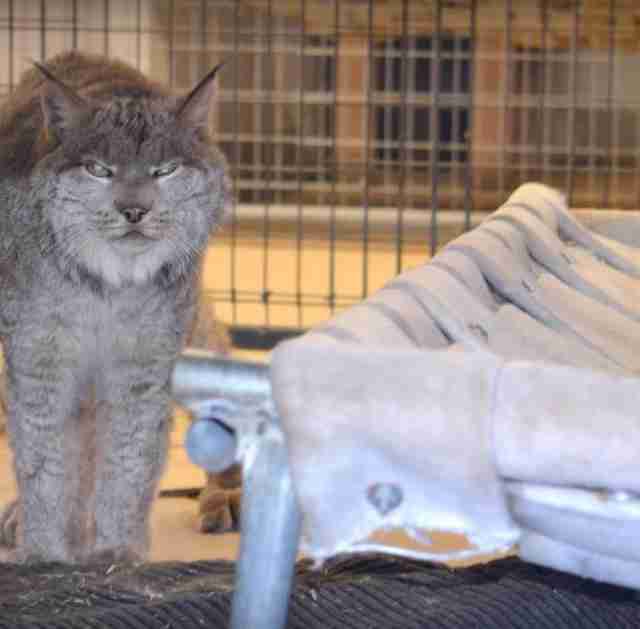 "In Minnesota we do have a state law against exotic cats as pets, but [the lynxes] must have been under the radar because they were kept in a house, so people weren't really aware," Thies said. Cleo's previous owner was going through a divorce and moving to a place where he didn't think he could get away with keeping her legally - so he asked for the sanctuary to take her in. Thies said Cleo's adjustment was tough. "Wild animals should never be pets, but they do imprint on humans," Thies said. Imprinting is when a baby animal attaches to and develops a strong trust for the first person he or she sees as a guiding figure - typically, this would be the animal's mother. "They don't necessarily bond, but, similar to small children, they're comfortable with what they're familiar with," Thies said. 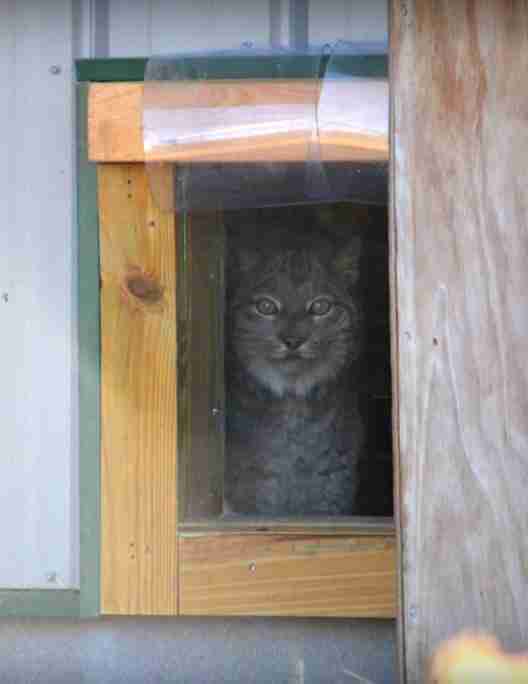 "So you can imagine a lynx that had been declawed on all four paws, who lived in a house and had never left that house except for a few vet visits over 13 years, was quite scared by the move. She didn't understand why she was being abandoned by her owner, even though he felt he was doing the right thing for her." In addition to a new home, Cleo also had to get used to a new food: meat, which was not in her diet previously. Cleo's meat has to be cooked for her, since her digestive tract isn't used to consuming anything raw. "But she's doing well," Thies said. "She's definitely shy. She prefers her own company ... it's taking her longer to realize she's a wild cat. Sadly, she shouldn't have to go through this transition. She shouldn't have to have been uprooted and brought to a sanctuary because she shouldn't have ever been a pet." These days, Cleo loves spending her time outside, whether she's in the grass, underneath trees or resting in a hammock. She has finally settled into the type of life she deserved to have from the start. Want to help animals like Cleo? 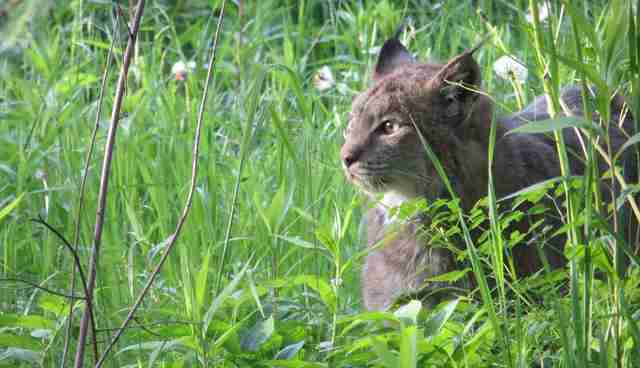 Here are all the ways you can help support the Wildcat Sanctuary.